Beautiful Model Homes Available Now! Custom Features to Suit Your Taste! A custom home built by the professionals at Redstone Builders is designed and constructed with style, integrity and promise. Redstone believes in offering unprecedented quality home construction with the latest designs in every traditional single family home we build. Each custom home for sale is customized to realize the individual needs of the home owner and special attention is given to your unique lifestyle. The dedicated team of craftsmen chosen by Redstone Builders and our committed staff work hard to encompass every detail with originality every step of the way. 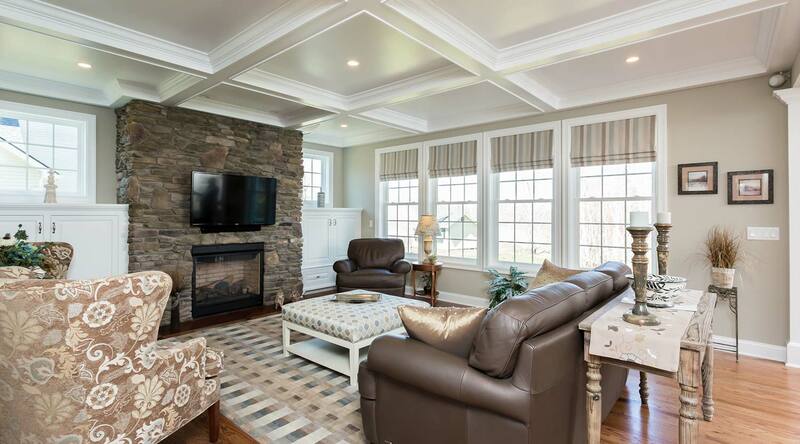 Rochester's Premier Custom Home Builder! 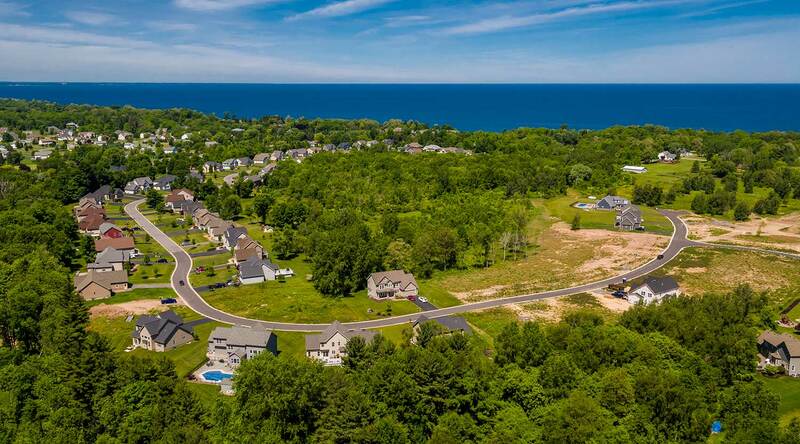 Crowne Pointe, a Penfield, NY community where you will find generous lot sizes and a wide variety of floor plans. Lake Breeze Estates, a Webster, NY neighborhood offering ranch, cape & colonial home designs to match any lifestyle. Bear Creek, a quaint cul-de-sac in Webster, NY surrounded by wooded parklands and a crystal clear creek. Coming Soon to Victor, NY. This exclusive four-lot cul-de-sac offers a unique combination of of privacy and comfort. Tall Birch Glen, a Rochester, NY neighborhood offering ranch, cape & colonial home designs to match any lifestyle. 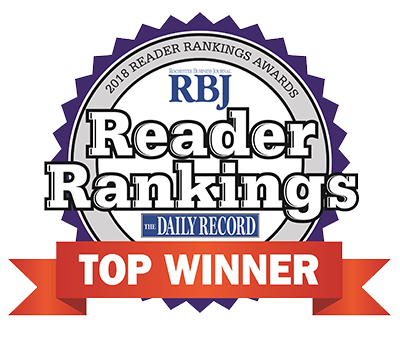 Whether choosing Redstone Builders for your first Rochester area home or your last, you can rest assured that you are receiving the highest quality and care from one of the most respected home builders in the Rochester area. From Webster to Greece, Victor to Henrietta, Redstone will help you find your new home! Lake Breeze Estates, a Webster, NY neighborhood offering ranch, cape & colonial homes to match any lifestyle. Dunbar Hill in Victor, NY. This exclusive four-lot cul-de-sac offers a unique combination of of privacy and comfort. Homes Ready to Move In! Come visit us at 24 Crowne Pointe, Penfield 14526 Sunday's from 2-4 to inquire for more details. This almost 2,500 square foot home is "To Be Built" by Redstone Builders and can be built on any of our available lots. This home includes 9 foot ceilings, oversized garage and mud room, office, gas fireplace, central air, granite kitchen counter tops, large walk in closets, lawn and driveway. Stop by our model home Sunday's from 2-4pm at 24 Crowne Pointe Drive and ask to hear more about the Dryden floor plan or many other options we offer. This Dryden home by Redstone Builders is a "To be built" and can be built on any available lot in the subdivision. This home features an open concept with 9 foot ceilings and includes central air, gas fireplace, granite kitchen counter tops. MOVE IN!!! This is an extremely well designed and efficient open floor plan with 4 bedrooms & 2 1/2 baths. Spacious 17 x 18-4 great room. generous morning room and chef-ready kitchen. This beautiful home is fitted with quartz counter tops in the kitchen and master bath, vinyl plank floors throughout 1st floor (except study).